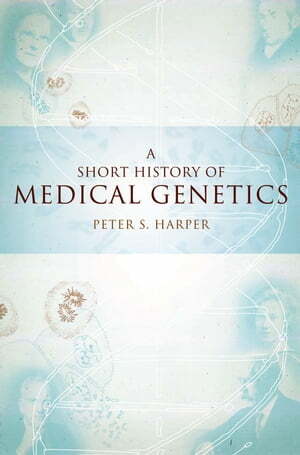 Collins Booksellers - A Short History of Medical Genetics by Peter S. Harper, 9780190208394. Buy this book online. An eminent geneticist, veteran author, OMMG Series Editor, and noted archivist, Peter Harper presents a lively account of how our ideas and knowledge about human genetics have developed over the past century from the perspective of someone inside the field with a deep interest in its historical aspects. Dr. Harper has researched the history of genetics and has had personal contact with a host of key figures whose memories and experiences extend back 50 years, and he has interviewed and recorded conversations with many of these important geneticists. Thus, rather than being a conventional history, this book transmits the essence of the ideas and the people involved and how they interacted in advancing- and sometimes retarding- the field. From the origins of human genetics; through the contributions of Darwin, Mendel, and other giants; the identification of the first human chromosome abnormalities; and up through the completion of the Human Genome project, this Short History is written in the author's characteristic clear and personal style, which appeals to geneticists and to all those interested in the story of human genetics.